I received a sampler (from netgalley) for this book. The first 32 pages were enough to peak my interest and I look forward to this book. 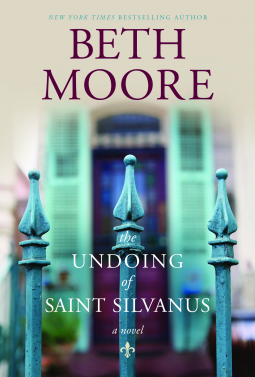 Beth Moore is a gifted writer of nonfiction and I find her transition to fiction intriguing. Exciting fiction premiere from beloved "New York Times" bestselling author Beth Moore.Only God knew why Jillian Slater agreed to return to New Orleans on the news that her father had finally drunk himself to death. It's not like they were close. She hadn't seen him--or her grandmother, the ice queen--in almost 20 years. But when Adella Atwater, the manager of her grandmother's apartment house, called and said Jillian's expenses would be paid if she'd fly in for the burial, a free trip to New Orleans was too intriguing to resist.